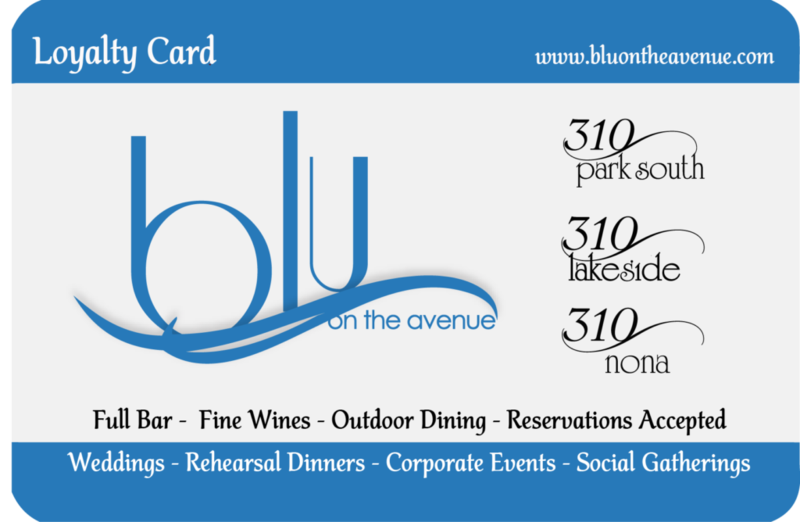 To earn points within the Loyalty Program, simply present your card to your server every time you visit blu on the avenue or one of our sister restaurants, 310 Restaurants. Members earn one (1) point for every $1 spent. When you reach 250 points, your points will be deducted and a $25 food and beverage credit will be added to your card for use on your next visit. To sign up for the Loyalty Program, simply ask your server or bartender for a Loyalty card at blu on the avenue or any 310 Restaurants location.